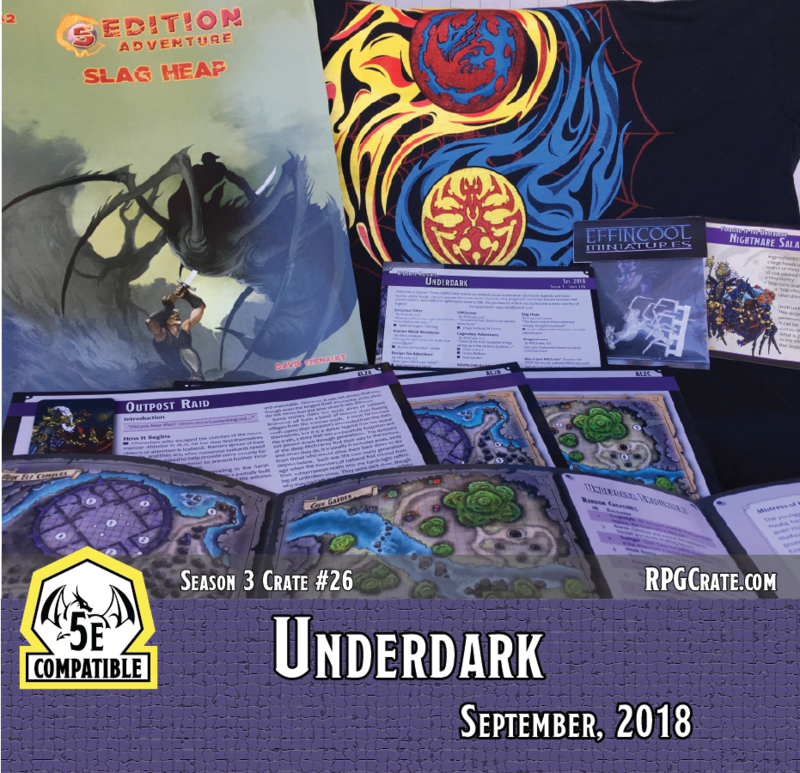 "Can you escape the underdark? Discover long forgotten mysteries buried beneath the frozen wastes, and confront nightmares come to life. Do you have what it takes to become a hero worthy of legend?" This month we added a full color three page GM Screen, with beautiful cover art illustrations by Chet Minton. The inside of the screen contains additional maps and tables designed to assist in running underground dark elf adventures. Coupled with a new Recipe for Adventure and Slag Heap, an awesome adventure, make this a crate of legend!